Check your emails if you submitted a review for the Garnier Free Sampler Packs that we're going around earlier! 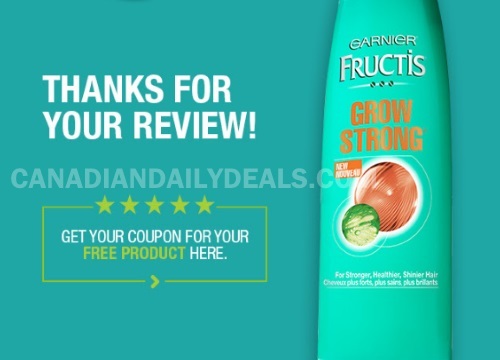 I got an email today from Garnier thanking me for the review and with a link to a coupon for a Free Garnier Shampoo or Conditioner regular size 384ml product! Please note, this is a unique coupon link just for me (you would have one too) so I cannot share it here. This seems to be only a print coupon though so that's a shame. Please click here for the original post explaining this promotion. Did you get your coupon? Let us know on our Facebook Page.